June 18, 2018. By Community News. AF May 2018. Leading digital money transfer service WorldRemit is always on the lookout for local heroes around the world, and Australian-Filipino entrepreneur Marco Selorio is just one stand-out of many. He is currently working with communities in both nations to connect talented youngsters to their various cultural Philippine identities through a mutual love of dance and music. In his wildest dreams, Marco never thought organising a community dance event for his brother's crew would turn into a worldwide phenomenon. He certainly never imagined the huge impact the event would have in connecting young Filipino dancers to others just like them from around the world. Marco has always had a passion for business. After graduating from economics and commerce at ANU University, he handed his degree to his parents and began his first entrepreneurial venture called Hoopdreamz, coordinating basketball and community events for Filipino-Australians. However, it was organising a life-changing urban dance event for his brother's hip-hop crew that ignited an annual calendar of dance events, becoming a celebration for Filipino families to celebrate and connect with their youth. "Kids loved the music and the family vibe and parents were comfortable being there with their kids," Marco said. After a successful two years, Marco took his events business, known as MAS Presents, to the next level by organising the first World Supremacy Battleground dance competition in Sydney, which saw masses of Filipinos come together to support their favourite teams. This was just the beginning of the global expansion, allowing the event to reach six continents in 2015. However, Marco stills believes he has so much more to offer to the youth of the Philippines, believing this is one of the reasons why he has maintained such a strong connection to his country of birth. "I really like going back because the environment is so different to Australia and it excites me more to do events over there," he said. Currently, Marco estimates the event has featured around 73,000 dancers since its inauguration in 2002, with Filipino talent having seen success both in Australia and around the world. It is now a global platform providing recognition for the dancers and musicians, and in some cases work and prize money for entertainers from disadvantaged backgrounds. "The Filipino community really get behind the dancers, they are especially loud for those from their home city and their province and some of the teams who have won gold have become TV stars and they get recognised," Marco said. Marco also said money people send to the Philippines is essential in helping to break the youth out of the poverty cycle, explaining that even a small amount helps. "What someone might earn in an hour as a salesperson here in Australia, would be what someone would earn after an entire day of work in the Philippines in the same job," he said. "I think a lot of Filipinos send money back home, and the ones who migrate from the provinces often tend to send more money." Digital money transfer company WorldRemit has realised this need to better service the Philippines and they now offer a wider reach to regional areas through instant cash pickups at local businesses such as the Palawan Pawnshops. In 2017, an estimated AUD$1.8billion of remittances were sent to the Philippines from Australia in total, and in the same year, the Southeast Asian nation was WorldRemit’s largest receive market globally. 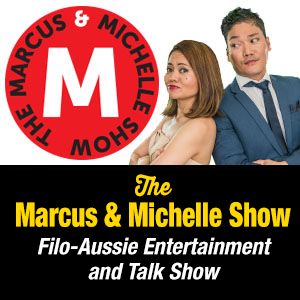 Despite most of his family having now migrated to Australia or the USA, Marco continues to remit money home to support any of his extended family members with their education. "I do feel proud to be Filipino, even though Australia is my home."